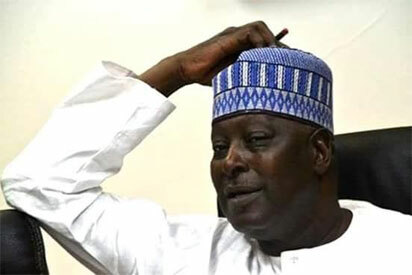 The Economic and Financial Crimes Commission, EFCC, has, Tuesday, arraigned the former secretary to the government of the federation, SGF, Babachir Lawal before a Federal High court in Abuja over his use of a company said to be owned by him to remove what he had described as ‘invasive grass” at the cost of over N272 million. Recall that on January 30th, after over two years since he was removed, the federal government pressed charges against Lawal over the alleged fraud. President Muhammad Buhari, had on October 2017, suspended Lawal over the allegation. This was after a panel, headed by the vice president, Yemi Osinbajo, had submitted its report after investigating the alleged fraud and indicting the former SGF. Meanwhile, at his arraignment, the EFCC pressed a10-count charge against the former SGF bordering on alleged conspiracy and fraudulent acquisition of property. However, Lawal pleaded not guilty to the 10 count charges.